Cardi B's fans gave her a proper sendoff this weekend, cheering and rapping along throughout the entire duration of her performance at the 2018 Broccoli Festival in Washington D.C.
As confirmed during her set, Cardi is taking a break to focus on her health, as she and Migos rapper Offset are gearing up to welcome their first child together. The Bronx rapper previously shared with fans that she will be returning to the stage after she gives birth and is planning to join Bruno Mars on the road later this fall as scheduled. During the high energy set, which took place Saturday (April 28), Cardi B ran through hit-after-hit, performing a slew of singles that appear on her highly praised debut album, Invasion of Privacy. Additionally, Bardi briefly addressed recent rumors she and Nicki B have beef, speculation that was further reignited following the Pinkprint rapper's interview with Zane Lowe earlier this month during which she claimed Cardi hasn't paid her proper respect. "Ever since I got pregnant, I got all this new beef," Cardi said, mid-performance. "Watch when I drop this baby… What was said?" While the comments are up to interpretation, they certainly have fans talking. The remarks also could be indirectly referencing the new lawsuit filed against her, during which her former manager is seeking $10 million. 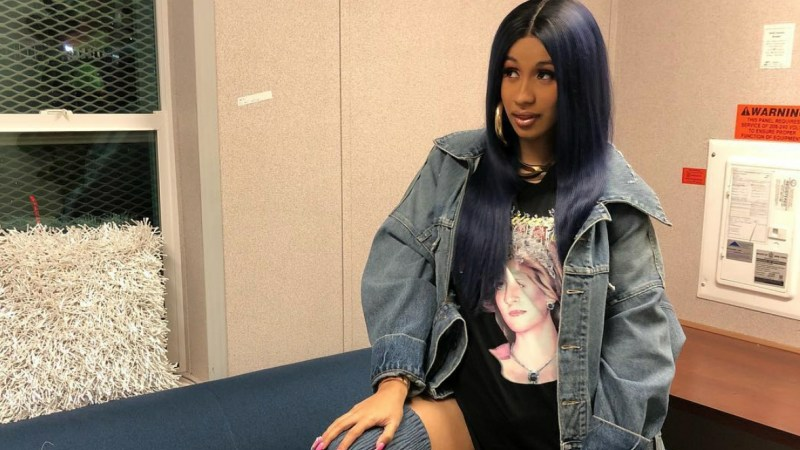 Cardi B's legal team has since formally responded to the suit, explaining that they look forward to taking the matter to court to showcase the invalidity of the claim. Take a look at a recap from Cardi B's final performance before focusing on starting her family, above.